Summary: Bond's loyalty to M is tested when her past comes back to haunt her. Whilst MI6 comes under attack, 007 must track down and destroy the threat, no matter how personal the cost. Skyfall is the latest installment in the James Bond film series—the 23rd film in the celebrated espionage franchise—based on British author Ian Fleming’s charismatic superspy, James Bond aka 007. Skyfall, directed by British filmmaker Sam Mendes, also marks the 50th anniversary of Dr. No (1962) as well as the franchise. The movie’s screenplay is written by the team of John Logan, Neal Purvis and Robert Wade. 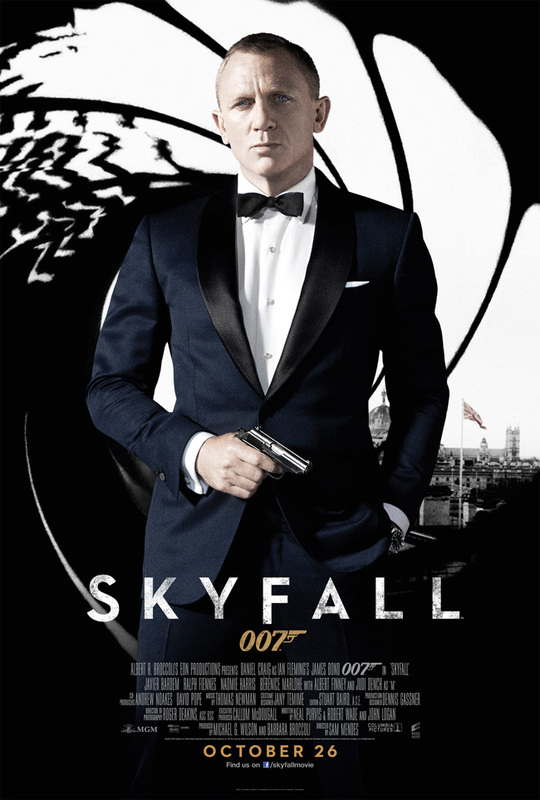 With Skyfall, Daniel Craig becomes the fourth actor to make three or more appearances as James Bond—the others being Roger Moore (7 appearances), Sean Connery (6 appearances), and Pierce Brosnan (4 appearances). Veteran English actress Judi Dench reprises her role of the MI6 supremo, M. Skyfall also stars Javier Bardem, Ralph Fiennes, Naomie Harris, Bérénice Marlohe, and Albert Finney in major roles. 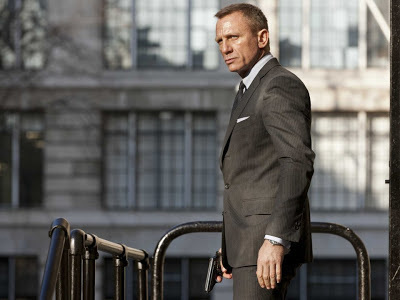 Skyfall marks the return of the 007 franchise after a hiatus of four years—the long delay was caused by MGM’s pitiable financial state—following the release of the 22nd Bond film, Quantum of Solace (2008). Skyfall’s plot basically revolves around a cat and mouse game played between M, James Bond and possibly his greatest nemesis ever, the mysterious cyberterrorist Raoul Silva—a ghost from M’s dark past who returns to inflict collateral damage. As Bond hunts for Silva, he too must come to terms with his nearly forgotten past while simultaneously trying to keep his loyalty for MI6 intact. Until the late 90s, the 007 franchise immaculately fulfilled the sole purpose of epitomizing style and glamour on the celluloid. Those were the days when 007 films were typified by a bunch of seductresses, loud-mouthed supervillains, uber-fancy gadgets, and a spy who was closer to a superhero than a human. But, as the audiences grew choosier and became more intelligent, it got more and more challenging for the makers to keep them engaged using the old, time-tested formulae. Following the dismal show of Die Another Day (2002), the makers finally decided to go for a major revamp. The charismatic Pierce Brosnan was unceremoniously dumped and in came Daniel Craig. Craig, who became the 6th actor to play Bond on the silver screen, made his debut with Casino Royale (2006). Casino Royale certainly lacked certain defining characteristics of a quintessential Bond film. The CGI and VFX made way for some real action as Fleming’s superspy became more rugged, fierce, fallible and hence more realistic, the closest he had ever been to a human. And the result was remarkable: Casino Royale became an instant success as the audiences all around the world whole-heartedly accepted the new 007. Despite a relatively poor show, Quantum of Solace remained quite true to the transition that had begun with Casino Royale. And there’s no surprise that Skyfall is another step forward in that direction. In Skyfall, James Bond is more vulnerable than ever. He is no longer the blunt instrument that he once was and has finally learnt to keep a check on his ruthless aggression. Only a few vestiges of his old self remain. He faces danger with an air of realism that one seldom associated with his precursors. His loyalties and beliefs are put to test more frequently than ever. He relies more heavily on hand-to-hand combat than gadgets. His romantic involvements seem to be driven more by purpose than passion. In fact, it wouldn’t be farfetched to say that Skyfall consummates the transitional journey of 007 from the unreal to the real. Now that James Bond has finally been grounded to a state of reality, he must also encounter the challenges of the real world, make the choices that a human must, face the dilemmas of the quotidian, and suffer the fate of a human being. James Bond does all this and much more with absolute panache in Skyfall. Sadly, he does it so often and with such conviction that it robs the film of any possible element of surprise. In fact, the idea of a James Bond who like Nolan’s Batman/Bruce Wayne is the epitome of selflessness is quite revolting in itself. But, what is outrageous is that Mendes and his team top it up with a diabolical villain whose maniacal tendencies mirror Heath Ledger’s Joker. This desperation for over-refinement on the part of the makers undermines the movie’s otherwise brilliant setup. 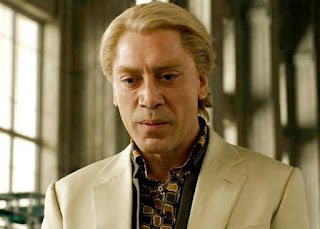 Javier Bardem without a shadow of a doubt is one of the greatest actors of our time. And as a cineaste, it’s quite disconcerting to witness a nigh impeccable Bardem performance getting downplayed because of its conspicuous similarities to Ledger’s part in The Dark Knight (2008). However, there’s no doubt that Bardem’s portrayal of the theatrical Silva is almost as menacing and chilling as his Oscar-winning portrayal of a laconic serial killer in No Country for Old Man (2007). Daniel Craig delivers yet another solid performance that could very well have been his best ever had it not fallen prey to the movie’s deliberately over-refined plot. 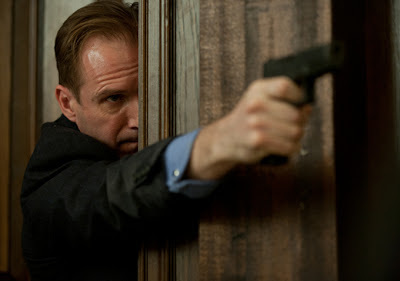 Ralph Fiennes is quite refreshing in the role of the enigmatic Gareth Mallory and one can expect to see more of him in the forthcoming installments. 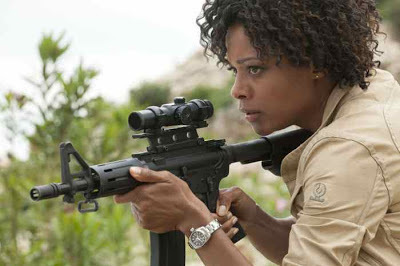 The new Bond girls, Naomie Harris and Bérénice Marlohe, are tempestuously glamorous in their respective portrayals and more than make up for the lack of oomph factor in the previous installment of the franchise. 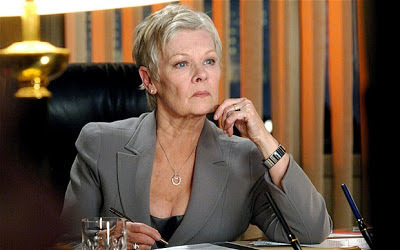 Judi Dench, despite looking too old for her part, delivers yet another memorable performance as M. And then there is the Bond's youthful, cheeky quartermaster Q, playfully performed by Ben Whishaw—a part that that's highly reminiscent of Benedict Cumberbatch's portrayal of Sherlock Holmes in the the popular British television series, Sherlock. Mendes and his team elicit worthy performances from the rest of the cast with special mention of veteran English actor Albert Finney as Kincade. Roger Deakins’ exquisite cinematography seems quite appealing to the eye and is quite easily one of movie's strongest points. Thomas Newman’s background music seems quite dull and perfunctory for the most part with the exception of the original song “Skyfall” sung by Adele. Overall, Skyfall serves to be a guilty pleasure that has something for almost everyone. The movie shows flashes of brilliance and despite falling short of the high expectations that preceded its release it offers enough to keep the audience engaged throughout the runtime. Skyfall unquestionably is a significant improvement on Quantum of Solace but clearly fails to match the brilliance of Casino Royale. 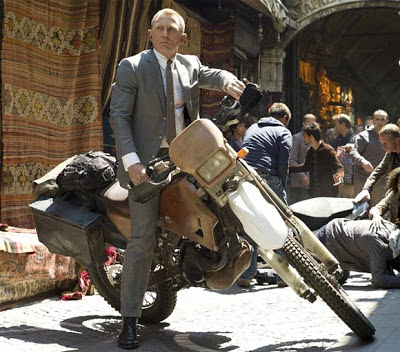 Skyfall is replete with high octane action sequences that take place in hottest locations spread across the globe: be it the rooftops of Istanbul, the skyscrapers of Shanghai, the underground tube train in London, or the countryside in Scotland. However, the most memorable part of the movie is its last quarter that takes place in an eerie Scottish countryside. The suspense that gradually builds up during it has a kind of raw feel that one generally associates with a quintessential Norwegian movie. This rawness immensely adds to Skyfall’s cinematic quality. 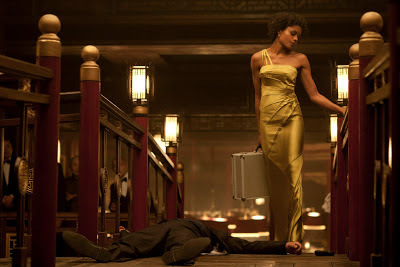 In Skyfall, Mendes and his team have tried quite hard to create the balance between the “old” with the “new” of the 007 universe. 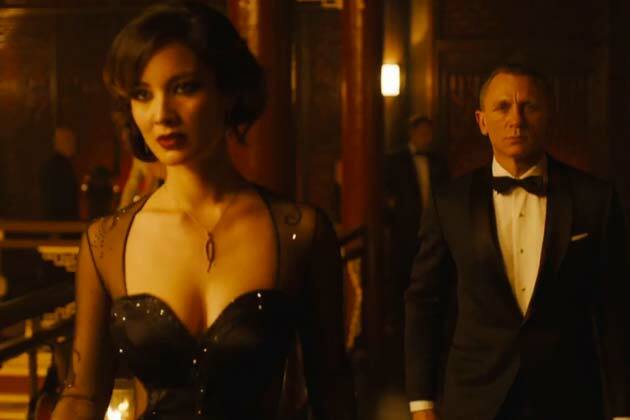 Skyfall pays homage to some of the early Bond films and even holds a few surprises for the diehard fans of the 007 franchise. And while it’s nearly impossible to overlook the obvious shortcomings, Skyfall none the less is a commendable attempt that ought to give a whole new direction to the forthcoming Bond films. 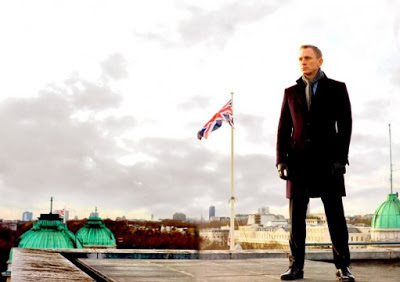 While those on the lookout for some thought-provoking cinema can quite easily afford to give Skyfall a miss, it's a must watch for those whose sole purpose is entertainment, for the movie offers it in plenty. I only skimmed through because I actually plan on watching it, but it's nice to see a more down to Earth score than what I've been seeing around the blogosphere. Nice one. PS. If I may offer one little piece of advice/observation about your layout. It can be a little difficult to read a center-justified block of text when the column is as wide as it is here. Sometimes readers (ie: myself) will lose track of where the next line begins when there is no visual reference point. It might not look as neat and symmetrical, but it would improve readability if your articles were left-justified instead. Thanks for the perfect review. Will watch it this weekend and share my opinion. Thanks for sharing your valuable thoughts. And Tonia Sotiropoulou indeed exquisitely pretty... it's a shame that she didn't get a considerable airtime. Good review:). Movie was good but nothing much bondish about it:(. Well, I can't agree with you more on that one... the movie indeed failed to develop beyond a certain point!!! I didn't like Quantum of Solace at all. I wonder what to make of a conspiracy about cornering the drinking water in Bolivia. It is strange that the same writers who wrote Casino Royale and Syfall could write that film as well. Of course that film was also co-written by Paul Haggis (of 'Crash' infamy) but when the same writers produce great stuff and abysmal stuff, one wonders if they know what they are doing!! Not a single mention of Aston Martin DB5. After the great revival of the Bond franchise with Casino Royale, I too thought that Quantum of Solace was a major disappointment. The screenplay, editing, and cinematography were indeed quite shoddy. And since I have been lucky enough to watch Cronenberg's Crash, I can very well relate to your aphorism. I thought that qos was a letdown film comparing to the excellent casino royale until i watched skyfall. At least qos did not make me fall asleep while watch it. I love cr, a bit disappointed with qos but truly dislike skyfall. I rather to see qos as an entertaining movie rather than the lastest installment of the franchise. Skyfall infact has great potential to be a good or even great film. But the script just could not shake up all the good ingredients together (i.e good performances,exciting opening scene, gorgeous scenery, new characters). I hardly believe the critics could give it so high rate. I felt that Skyfall was a truly serious and mature Bond movie, and after watching it I now feel that the older Bond movies of Pierce Brosnan are merely cartoonish... I enjoyed the brilliant cinematography and the reliance of doing things "the old way".. however, I respectfully disagree that DC is the best Bond; he cant emote very well and is more suited to action sequences like in Casino Royale. Also, I didnt feel Javier Bardiem was trying to ape Heath Ledger. I felt Javier was most terrifying in No Country, and that his performance wasnt nearly terrifying.. that said, Skyfall is wonderful but still second to me compared to Casino Royale . Thanks Rajiv for sharing your valuable thoughts. While I think that you have been a bit too harsh on the classic Bond films featuring the likes of Brosnan, Dalton, Moore and Connery, I do get your message. And you are right that Javier Bardem's performance in No Country for Old Man was quite unparalleled. Also, I agree with you that while Skyfall was quite good overall it significantly fell short of Casino Royale's brilliance.